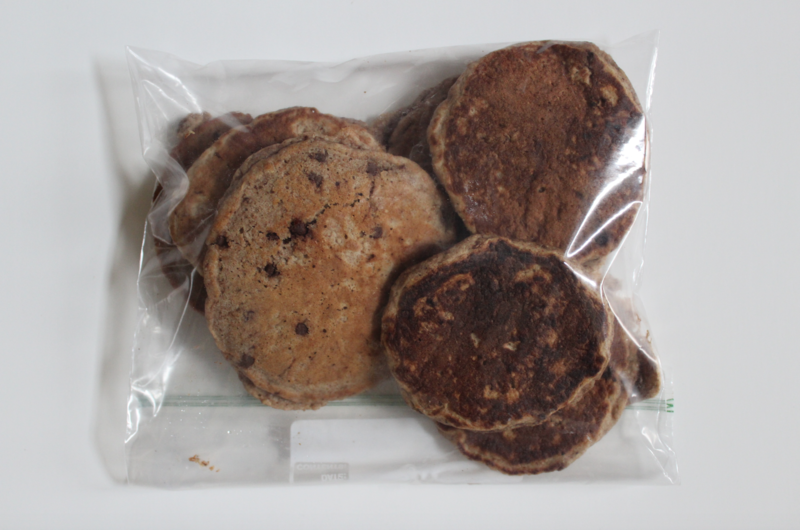 Looking for an amazing and healthful pancake recipe? This is one of our family’s favorite recipes and it’s freezer-friendly, too! 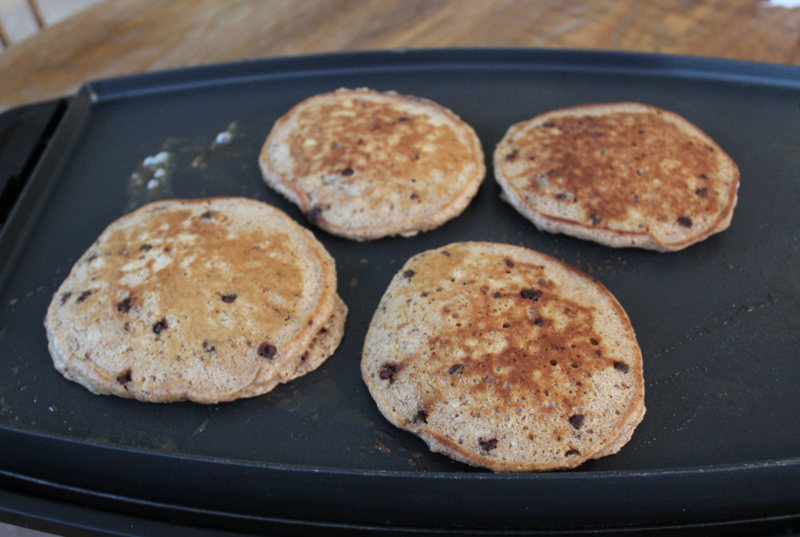 I’m a total pancake aficionado! And when I can find a really healthful recipe that still tastes amazing — it’s a HUGE win in my book! 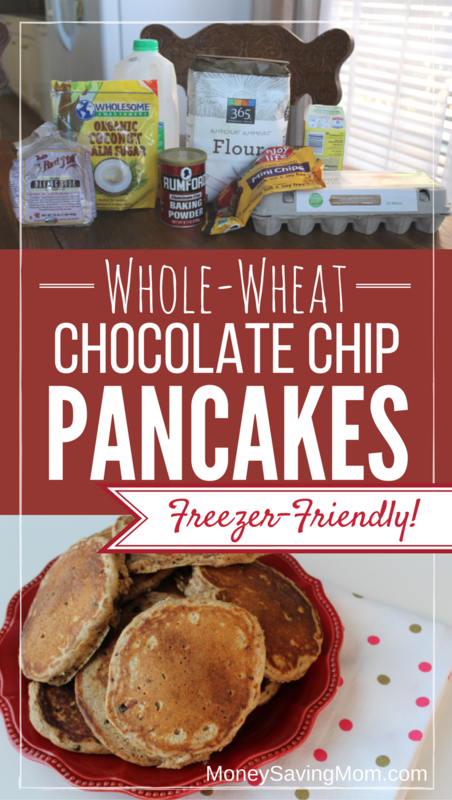 This Whole Wheat Chocolate Chip Pancake recipe is a family favorite that we’ve used countless times over the years. It was originally tweaked from the Better Homes and Gardens cookbook. 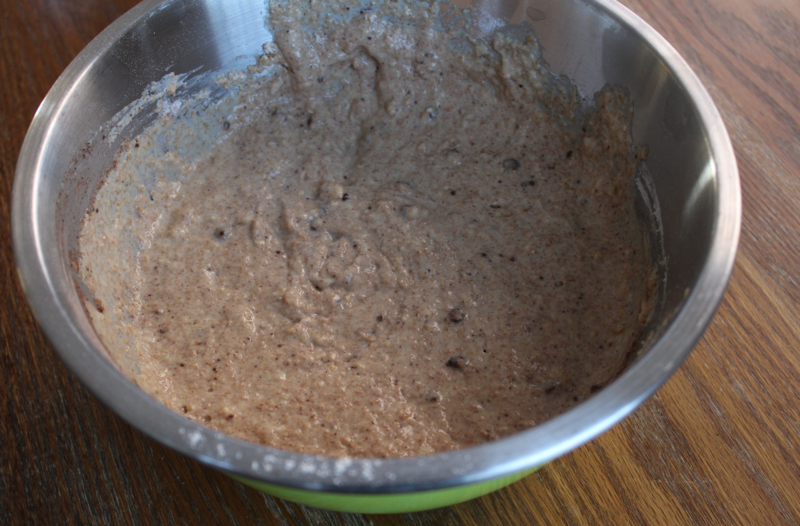 If you add chocolate chips to this batter, you don’t even need to use syrup on it. 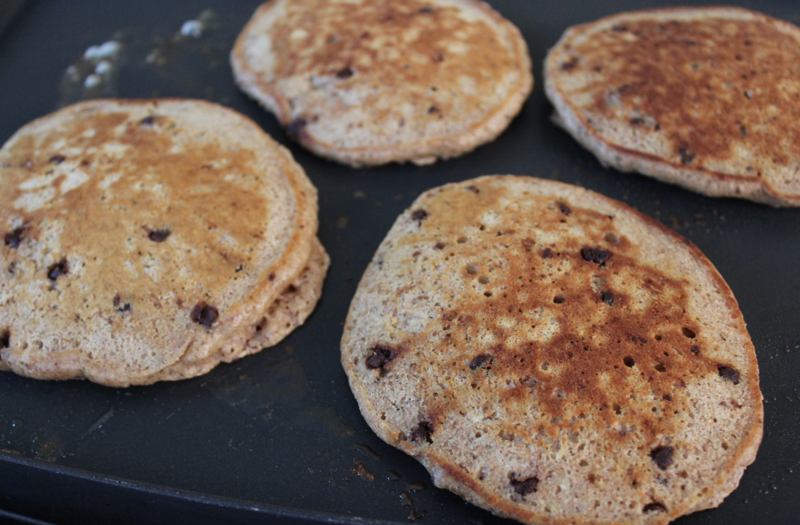 But if you want to make these more amazing, smother them in syrup and lots of butter. And it’s a like a little piece of heaven on a plate! *You can buy milk that you find marked down at the store or milk that is almost souring and then just thaw it in the refrigerator or in a sink full of warm water and use it in pancakes to save money. 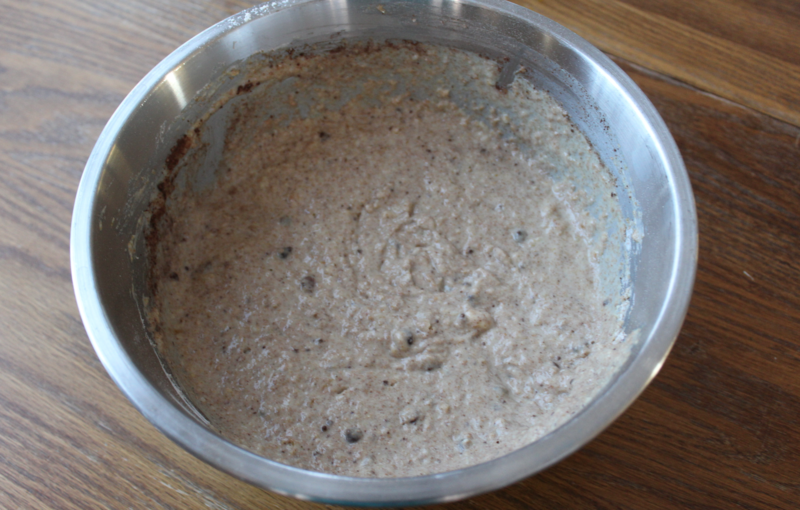 If your family is not a fan of re-heated pancakes, you can also try my Make Ahead Pancake Batter method. 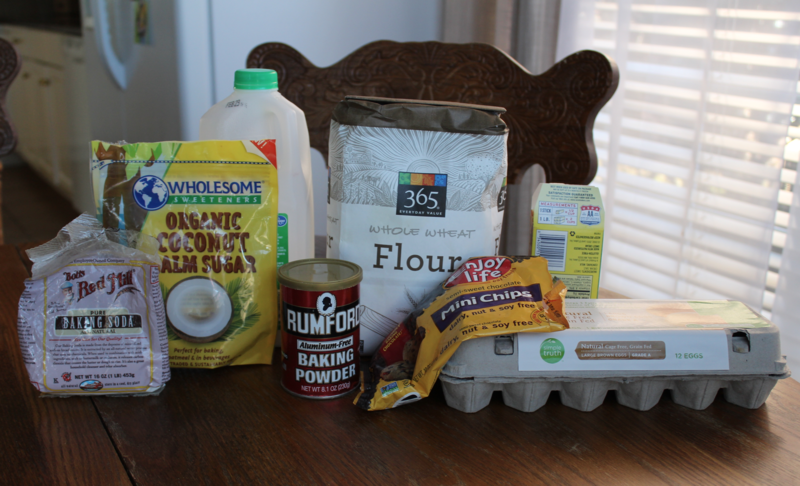 Or, you can also make Homemade Baking Mix. 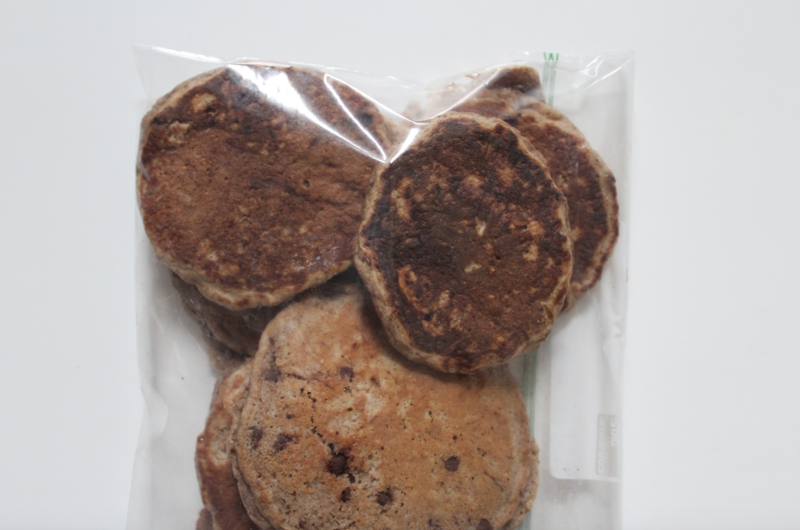 For more make ahead breakfast ideas, check out this post on how to Simplify Your Mornings With Make Ahead Breakfasts. 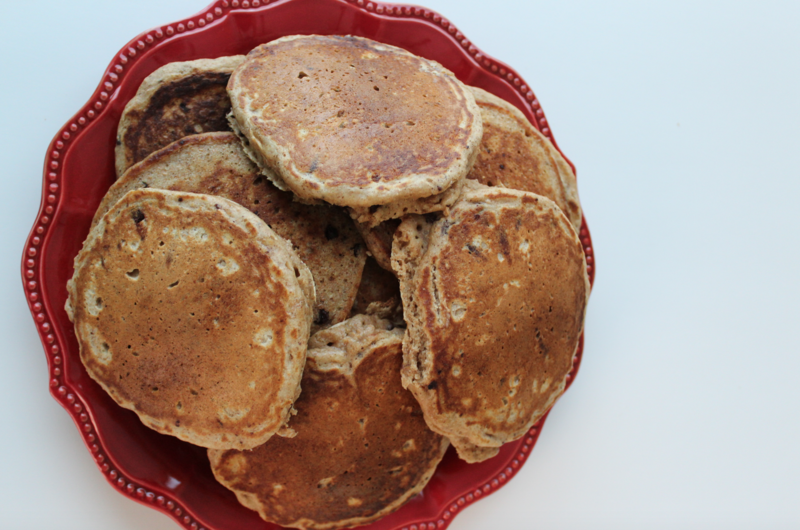 What are YOUR favorite pancake recipes or make ahead breakfast ideas? I’d love to hear! Aw, you are too kind! 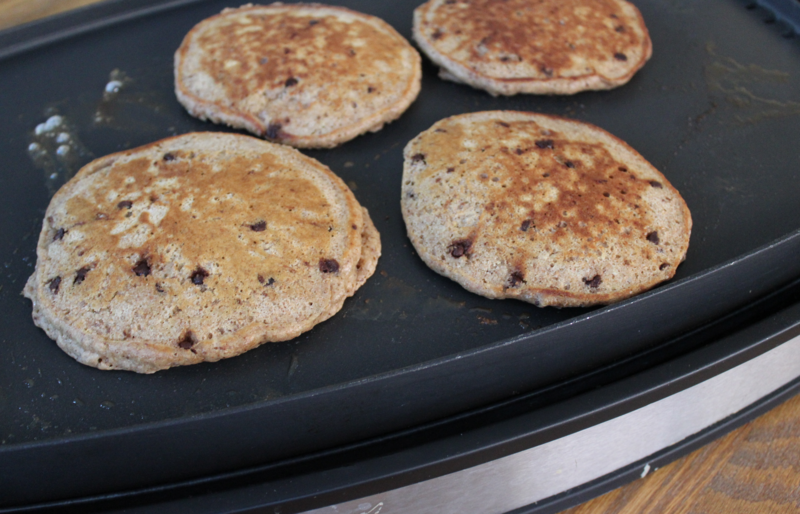 Yes, we love this griddle! It’s $$ but it’s been SO worth it and so durable and extremely easy to clean/use. I love that it’s dual-purpose and so heavy duty! 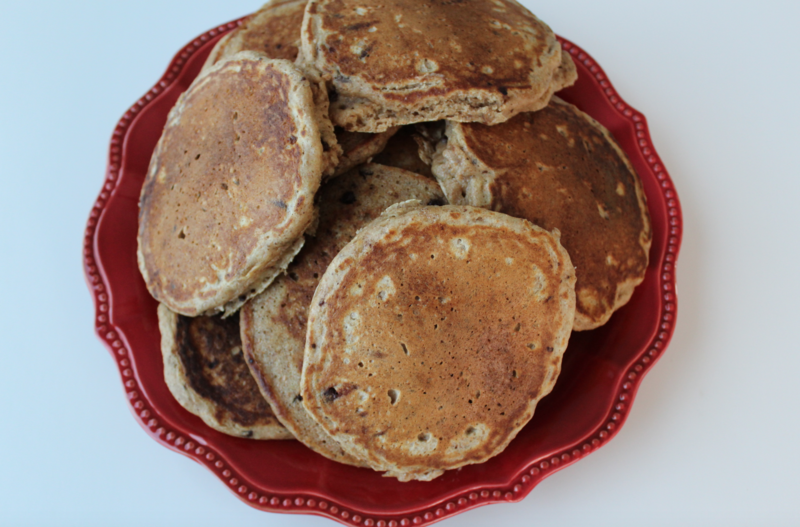 My mom used to make the BEST whole wheat pancakes, and they’re one of the biggest things I miss about being gluten-free. I make extra pancakes on Saturday mornings so when Sunday morning comes I just pop them in the toaster on low. My kids eat them on the way to church. I like this recipes. The pancakes look moist and fluffy. I will be trying. Thank you! Great idea for the spoiling milk. 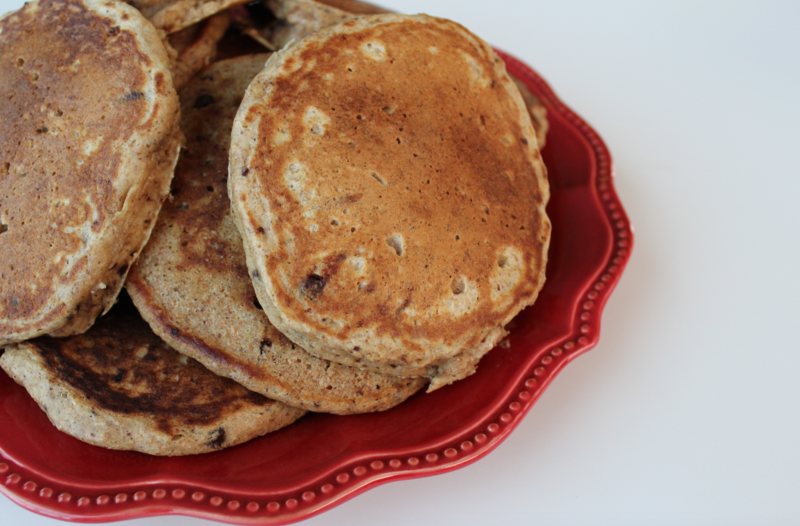 I’ve made your recipe for years now when you originally shared it and my husband loves them! He always asks when I’m going to make them again!! I’ve been reading your website for years. In 2012, I started to learn about food and what I was putting into my body. I have not been able to connect with your blog for a long time on the in regards to food and recipes. It was a wonderful surprise to see your photo on this article… that’s starting to look like my kitchen! I look forward to your new website. Thanks for your recipe. My child love chocolate pancake and I cook it twice a week. Cooking pancake in last night help me prepare the breakfast for my kids faster than on next morning, by getting them into the microwave way just a few minute.